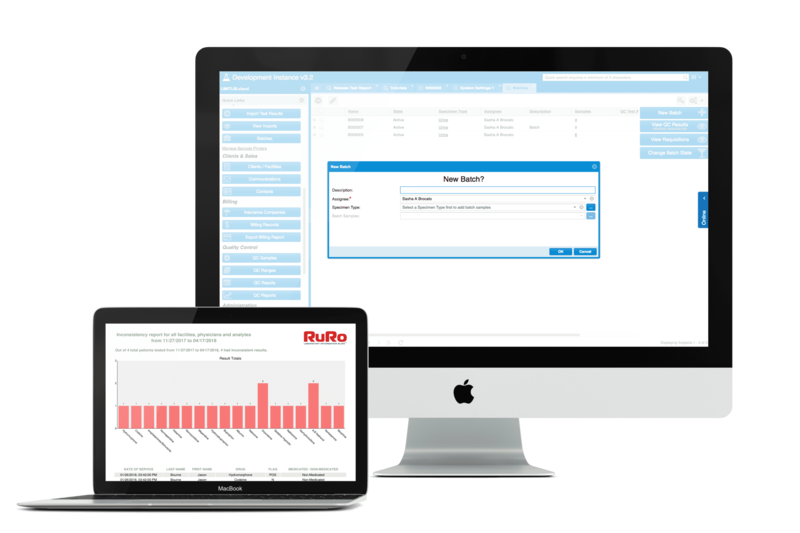 RURO, Inc., a leading lab software provider, announced the release of LimitLIS version 3.2, the latest version of its popular cloud-based laboratory information system.. Already, LimitLIS® can be deployed quickly with out-of-the-box support for toxicology and pain management workflows. The new LimitLIS® 3.2 release furthers these capabilities while adding support for blood chemistry/hematology and molecular testing. As more and more laboratories are diversifying their test menus, LimitLIS® 3.2 automates laboratory workflows by offering integration with PCR-based instruments, qualitative QCs, and multiple result report formats for hematology and quantitative PCR assays. For a full list of features, visit ruro.com or speak to a representative at (888) 881-7876. LimitLIS® version 3.2 will be a free update to all existing LimitLIS® Cloud subscriptions unless specified otherwise in the service level agreement. If you wish to opt out or inquire about a specific service level agreement regarding this release and future releases, contact RURO at (888) 881-7876.